Valuation is one of the cornerstones of MSG’s practice and is an element in many of our litigation, corporate finance and business consulting engagements. We commonly value private and public companies, partnerships, complex securities and derivative instruments, contracts, and tangible and intangible assets. Our experts and professionals are well-versed in the nuances of valuation, and we take pride in remaining current on developments in valuation methodologies and techniques. 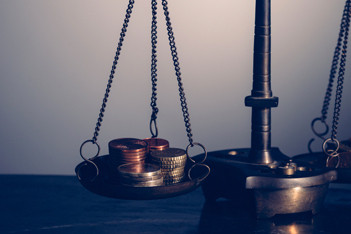 Many law firms rely on us, both for our expertise in valuation matters, and for our ability to explain the complexities of valuation clearly to a judge, jury or arbitrator. Leading accounting firms often refer their clients to MSG, and our valuations are frequently used by corporations to assist with their public regulatory filing requirements. MSG also regularly advises senior management and corporate boards on valuation issues with respect to mergers, acquisitions, sales, divestitures, and other corporate finance matters. A joint venture consisting of two private equity firms acquired the common equity of an emerging market telecommunications company. The capital structure of the company was comprised of senior and junior equity securities. As part of the acquisition, the preferred stockholders received appraisal rights. MSG was retained to determine the fair value per share of the preferred stock as of the acquisition date and provided testimony at trial. Two providers of health care services entered into an arrangement whereby a sleep disorder treatment provider leased space and contracted physicians from the hospital. A dispute arose over payments owed, and the two parties entered into a settlement agreement to resolve their differences. As part of the settlement, the parties entered into arbitration with the hospital, agreeing to purchase the sleep disorder clinic at its fair market value. MSG valued the sleep disorder clinic. A multinational, diversified pharmaceutical company owned a large minority stake in another company specializing in the manufacture of flu vaccine. The multinational made a tender offer to acquire the remaining shares of the vaccine manufacturer which it did not own. Certain shareholders of the vaccine manufacturer objected to the offer price, claiming that it was too low. MSG was retained to determine the fair market value of the company’s shares and offered opinions on this topic. A publicly traded web design company acquired another company in a stock transaction. The acquisition was completed on the same day that the acquiring company also completed a share repurchase. The implied share price of the acquisition was higher than the share price in the repurchase transaction. The former owner of the acquisition target brought suit, claiming that the number of shares issued in the acquisition should have been based on the price established by the repurchase transaction, and thus that he had been underpaid. MSG was retained to analyze the valuation premiums and discounts relevant to each transaction and, among other things, utilized option pricing techniques to evaluate the fairness of the acquisition price. A defense contractor and a technology company formed a joint venture to employ the technology firm’s innovative processes to clean up hazardous waste. A few years after forming the joint venture, the partners decided to restructure the partnership. As part of the restructuring, a business unit was transferred to the defense contractor and the remaining portion of the partnership became a subsidiary of the technology company. By the end of the year, the technology company and its subsidiaries filed for Chapter 11 protection. The bankruptcy trustee sued the defense contractor, alleging the restructuring transaction resulted in a preference payment as the joint venture was insolvent at the time of the asset transfer. MSG was retained to perform a solvency analysis of the partnership on both a pre-and-post transaction basis. We employed several different approaches to value the wide variety of the partnership’s assets and liabilities. A Fortune 500 medical products and services company sold a unit to two investment banks, but retained preferred shares in the unit. Several years later, the unit entered into a recapitalization transaction whereby the unit took on additional debt in order to fund a dividend payment to the two investment banks. Three years after the recapitalization, the unit filed for Chapter 11 protection. The unit and its Wall Street financial adviser advocated a plan of reorganization that assigned no value to the preferred shares held by the Fortune 500 company. MSG was retained to analyze the valuation work presented in the proposed prepackaged bankruptcy plan as well as the valuation work of another consulting firm. We also performed an independent valuation of the unit. A thinly traded developer of desktop enterprise management software sought additional funding to shore up its balance sheet. The company was able to raise additional equity by authorizing contingent promissory notes that would be issued if the average stock price fell below a set price over a defined period of time. In order to meet Securities and Exchange Commission (SEC) reporting requirements, the company had to report the value of the contingent promissory notes on a quarterly basis. MSG was engaged to value the contingent notes. A publicly-traded Midwestern retailer was taken private in a leveraged buyout. Within a relatively short period following the transaction, the retailer filed for bankruptcy protection. Unsecured creditors filed a lawsuit against the directors and other significant selling shareholders, claiming the transaction was a fraudulent conveyance. MSG was retained to analyze the retailer’s solvency and capital adequacy immediately following the leveraged buyout. As part of our report, we valued the retailer and projected its cash flows. A diversified health care company acquired another health care entity. The purchase price included a warrant issued to the target company shareholders to purchase shares of the acquirer’s stock. Using the Black-Scholes option-pricing model, MSG valued the warrant at the time it was issued. The objective of this analysis was to establish the total purchase price paid for the target company. A publicly-traded manufacturer of semiconductor fabrication factory automation tools acquired a development stage software company. The target company was in the process of developing high-end planning and scheduling software specific to semiconductor fabrication plants. We were retained to identify any completed or in-process R&D technologies and other intangible assets as well as to value these assets. The results of our valuation were used to record the acquisition under purchase accounting principles. A manufacturer of electronic connectors granted stock options to several key employees and directors prior to the company’s initial public offering. MSG was retained to value the company’s stock at the time the options were granted. The valuation was performed to determine whether deferred compensation should be recorded for accounting purposes and disclosed in the IPO’s offering prospectus. Shortly before going public, a closely-held manufacturer of control products purchased a software company for cash, notes, and shares of its stock. MSG was retained to determine the total acquisition price by valuing the notes and the stock of the closely-held acquirer used for the purchase. The valuation we performed determined the total purchase price, which the acquirer incorporated into its initial public offering filings with the Securities and Exchange Commission (SEC). An employee of an operator of assisted living facilities claimed that the majority owner promised to sell him a minority stake in the company. A disagreement arose between the two parties when the stake was not offered for sale. To settle the dispute, the parties agreed that the holder of the majority interest would pay the employee the fair market value of the minority interest. MSG was engaged to value the minority interest. Relying upon our health care and valuation expertise, we valued the interest employing several valuation methodologies. A property development and a management company were involved in a dispute over the development of office space in the downtown area of a major U.S. city. The developer sought to sell the litigation rights accruing to it as a result of the dispute. MSG was retained to value the litigation rights involving the disputed development opportunity. The valuation was used in conjunction with the sale of the litigation rights to a third party. A publicly-traded provider of human resource software acquired certain assets of a publicly-traded Internet company. The purchase price consisted of cash and restricted shares of the acquirer’s common stock. The acquirer was required to determine the value of the consideration in order to report the transaction on its books. MSG was engaged to determine the lack of marketability discount to be applied to the restricted shares for the purpose of determining the total purchase price. This analysis was performed to support the recording of the transaction as reported in the acquirer’s filings with the Securities & Exchange Commission (SEC). The minority interest shareholder in a closely-held cargo shipping business entered into an arbitration process, seeking the fair market value for that interest. MSG was engaged to value the minority interest. Our expert presented our valuation and findings at an arbitration hearing.